The Prospector Tour is ideal for riders of all ability levels and offers children the opportunity to try out Beaver Creek & Vail Snowmobiling for themselves, on child-sized machines included at no extra charge. Our Prospector Vail Snowmobiling Tours provide an ideal mix of meadow, open bowl and trail riding for families, groups and individuals who are seeking a scenic, high alpine snowmobile tour in the Colorado Rockies. The Prospector Tour is our most popular selection for parties that include children and adults who would prefer to "double up" and ride two people per snowmobile. 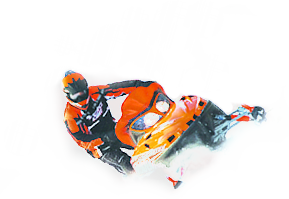 The tour begins with a short tutorial that outlines the basic operation and handling of your snowmobile, followed by a trail ride to an open meadow practice area. Here, guests can familiarize themselves with driving their machines before climbing to the high alpine terrain of the Continental Divide. As the tour reaches the tree line, you'll be treated to panoramic views of Colorado's tallest summits - Mt. Massive and Mt. Elbert. Upon entering the high alpine terrain, guests can enjoy free riding time in spacious open bowls and meadows. This landscape provides plenty of room to open up your machine's throttle and enjoy a bit of off trail powder riding while banking turns off of the surrounding mountainsides. The Prospector is the only Vail Snowmobiling tour to offer child-sized snowmobiles on the outskirts of its open meadow play area. Here, kids can try their hand at snowmobiling on child-sized machines made especially for them. Children's machines are included at no additional charge. Multiple departures are offered daily with tours starting at 9:00 am, 12:00 pm and 3:00 pm. Complimentary transportation is available on 9:00 am, 11:00 am, 1:30 pm and 3:30 pm tours. Pick-up times in Vail are one hour prior to tour times. Pick-up times in Beaver Creek are one hour and fifteen minutes prior to tour times. Complimentary Snowmobile Transportation is available from the towns of Vail, Beaver Creek, Breckenridge, Keystone, Copper Mountain, Frisco, Dillon and Silverthorne, Colorado. 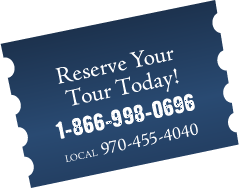 To book your Prospector Vail & Beaver Creek Snowmobiling Expedition contact us toll free at 1.866.998.0696 or locally at 970.455.4040. Snowmobile drivers must be 15 years of age in order to drive a snowmobile. Drivers must be 18 years of age in order to carry a passenger on their snowmobile. 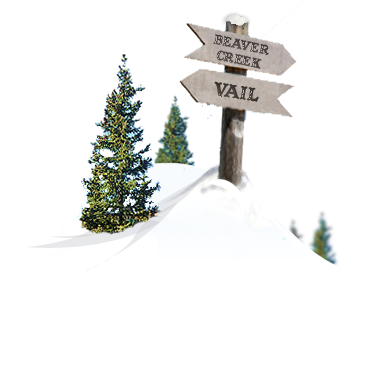 Vail and Beaver Creek Snowmobile transportation availability may be dependent upon group size.